The American Made Show moves to D.C. The American Made Show, formerly known as the Buyers Market of American Craft, is relocating indefinitely in 2015 to the Walter E. Washington Convention Center in Washington, D.C. The trade show, presented by Buyers Market, is scheduled for Jan. 16-19, 2015. The show features products for the home and garden, jewelry and fashion, and kitchenware. 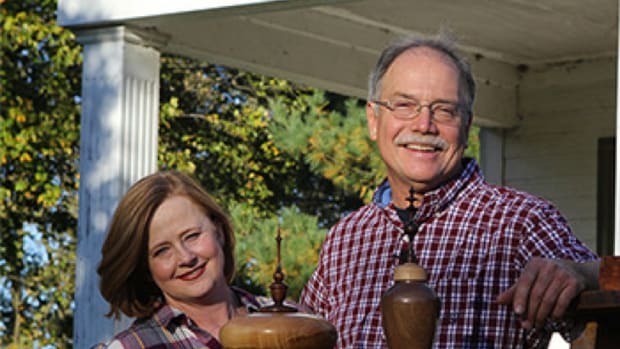 Co-hosts Scott and Suzy Phillips will focus Season 26 of their long-running PBS television show, The American Woodshop, on a history in wood with custom creations from independent woodshops across the country. Co-hosts Scott and Suzy Phillips will begin Season 25 of The American Woodshop on Jan. 17 with 13 new episodes that invite viewers to build custom work with how-to instruction, including tool tune-up tips.